It sets up simply and moves to wherever the fish are, plus it boasts plenty of space for all your gear with improved storage and organization. Well-placed windows and openings let the air flow and provide easy in and out... catch your limit in total comfort! Fishable Area: 11.5 sq. ft. 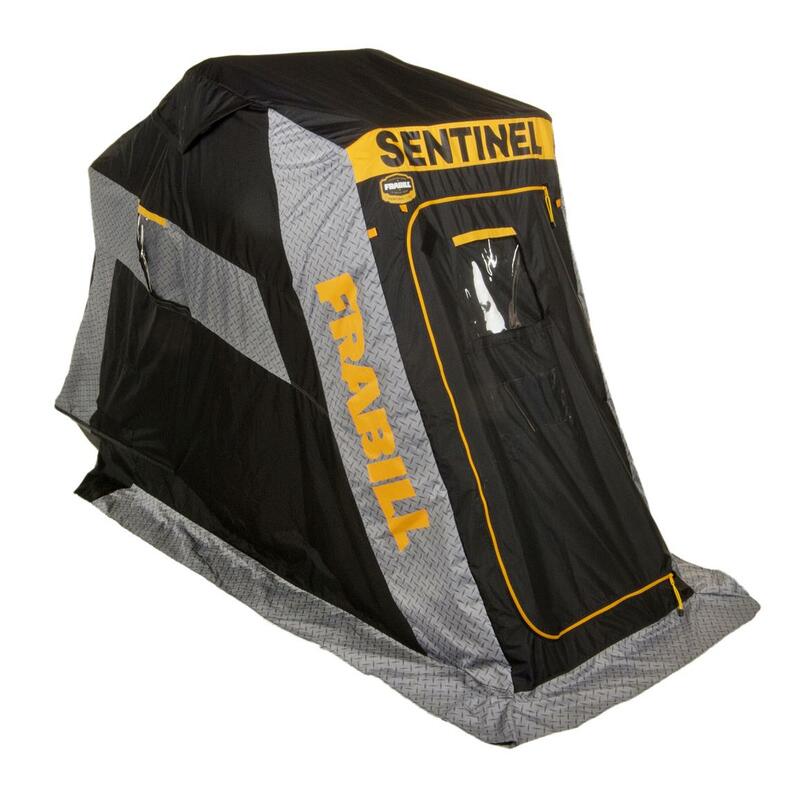 Measures (folded): 56" x 35" x 15"h.
Measures (set up): 106" x 35" x 64.75"h.
Frabill Sentinel 1100 Ice Fishing Shelter, Flip Over, Single Person is rated 5.0 out of 5 by 3. Rated 5 out of 5 by Fattentman from Nice product Great price and easy to put together. No regrets. Extend the life and performance of your shelter.